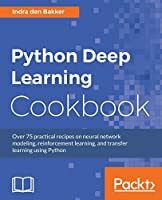 A strong foundation on neural networks and deep learning with Python libraries. 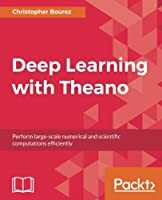 Explore advanced deep learning techniques and their applications across computer vision and NLP. Learn how a computer can navigate in complex environments with reinforcement learning. With the surge of Artificial Intelligence in each and every application catering to both business and consumer needs, Deep Learning becomes the prime need of today and future market demands. 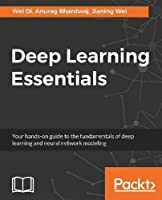 This book explores deep learning and builds a strong deep learning mindset in order to put them into use in their smart artificial intelligence projects. 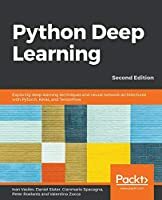 This second edition builds strong grounds of deep learning, deep neural networks and how to train them with high-performance algorithms and popular python frameworks. You will uncover different neural networks architectures like convolutional networks, recurrent networks, long short term memory (LSTM) and solve problems across image recognition, natural language processing, and time-series prediction. You will also explore the newly evolved area of reinforcement learning and it will help you to understand the state-of-the-art algorithms which are the main engines behind popular game Go, Atari, and Dota. Grasp mathematical theory behind neural networks and deep learning process. Investigate and resolve computer vision challenges using convolutional networks and capsule networks. Solve Generative tasks using Variational Autoencoders and Generative Adversarial Nets (GANs). Explore Reinforcement Learning and understand how agents behave in a complex environment. Implement complex natural language processing tasks using recurrent networks (LSTM, GRU), and attention models.